We have a huge collection of top selling Gucci Sunglasses. 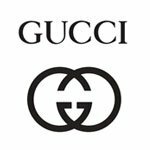 Gucci in UAE is among the top brands, being a favorite of most of the happy customers. Buy Gucci Sunglasses at really good prices which have awesome sales and reviews. Gucci Sunglasses will change the way you look this beautiful world. We make your online shopping experience easier and cheaper. We have awesome deals, amazing prices on almost all the sunglasses, eyeglasses(frames), contact-lenses, we have an immense sales throughout the UAE mostly Dubai, Sharjah, Abu-Dhabi, Ajman, order Gucci Sunglasses online in Dubai, UAE and get fast and free-shipping. Customer satisfaction is the main aim of Opticsonline.